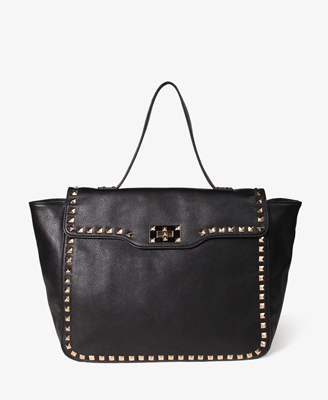 Valentino's studded tote retails for $1895 at Saks Fifth Avenue. Forever 21 has an alternative option for those on a tight budget. It retails for $32.80 and you can click HERE to view or purchase.